Robert “Jake” Jacobson, 74, passed away Nov. 29, 2018, in Medford. He was born Feb. 15, 1944 in Newport, Ore., to parents Edwin Leander Jacobson and Jane Muriel See. Raised in Coos Bay, he graduated from Marshfield High School, Class of 1962. Jake served honorably in the U.S. Navy and was deployed for two tours of duty in Vietnam. Soon after his military service, he began his career at TP Trucking in Central Point. After 38 years, he retired in 2010. Jake was an avid car enthusiast, restoring classic cars and participating in car shows throughout the state. He made many friends during his life and was loved and respected by all. Jake is survived by his wife, Patricia of Eagle Point; two sisters, Mary Peterson and Anita Watson, both of Redmond; one niece, and four nephews. He was laid to rest in a private family ceremony with military honors at Eagle Point National Veterans Cemetery. A public visitation for Conrad "Scotty" Scott, 87, of North Bend, will be held from 10 a.m. to 5 p.m. Friday, April 19, at Coos Bay Chapel, 685 Anderson Ave., in Coos Bay. A funeral service will be held at 1 p.m., Saturday, April 20 at Coos Bay Chapel, with Chaplain John Sheese, officiating. A graveside with military honors will follow the service at Sunset Memorial Park, 63060 Millington Frontage Road in Coos Bay. 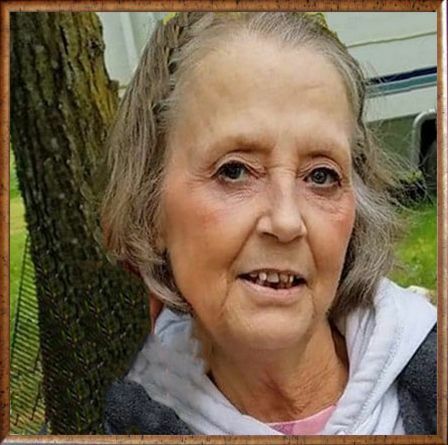 A celebration of life will follow the graveside from 4 to 8 p.m. at the family residence, 2162 Ohio St., in North Bend. Conrad E. Scott - 87, of North Bend, died April 10, 2019 in North Bend. Arrangements are pending with Coos Bay Chapel, 541-267-3131. Delmar "Sarge" Olson, memorial service, 11 a.m., First Baptist Church, 1140 S. 10th St., Coos Bay. Inurnment, Evergreen Cemetery, Medford, Wisc. Conrad E. Scott, chapel funeral service, 1 p.m, Coos Bay Chapel, 685 Anderson Ave.
George E. Shore Jr. of Reedsport, passed away April 2, 2019. George "Bud" was born July 21, 1930 in Spokane, Wash., to George Earl Shore Sr. and Lillian Mildred Hadford. George’s family moved from Spokane to the Seattle area when he was very young. He grew up in the rural Seattle area, graduating from Renton High School in 1948. George met Barbara "Bobby" Jose on a blind date. They were married March 21, 1952 in Bellevue, Wash. He served in the U.S. Navy during the Korean conflict. After leaving the Navy, George attended the University of Washington, where he received his degree in forest engineering in 1958. George began a career with the Oregon Department of Forestry, spanning 34 years, serving in Prineville, Coos Bay, Reedsport, and Stayton (Mehama). He retired in Salem as the head of the ODF mapping department in 1992. George spent 13 years of his career working in the Elliott State Forest, engineering many of the roads in the North Elliott. The Elliott was where he felt most at home, and could talk for hours about his days there. After living in Stayton for 47 years, George and Bobby moved back to Reedsport in 2018, to enjoy more time with their grandchildren and great-grandchildren. George, always with Bobby, enjoyed boating, fishing, camping, exploring the more remote areas of the Pacific Northwest, traveling to Hawaii, and spending time at their cabin in La Pine. Most of all he enjoyed time with his family. George is survived by his wife of 67 years, Bobby; daughter and son-in-law, Linda and Rick Rochon of Reedsport; son, Jeffrey Shore of Salem; five grandchildren and spouses, Juliana and Andrew Yearous, Francis and Ingrid Rochon, Patrick and Betty Rochon, Teresa and George Lichte, and Katrina and Juan Gomez. He was “Gramps” to 18 great-grandchildren, Thomas, Paul and Isaac Yearous, Vincent, Ambrose and Bennett Rochon, Demitria, Anthony, Elijah, Elizabeth and Fallon Rochon, Emily, Devin, River, Jude and Vegas Lichte, and Maria-Sofia and Anastasia Gomez. He was preceded in death by his parents, George and Lillian Shore Sr.
Memorials can be mailed to LUH Foundation c/o Jamie Swafford, 600 Ranch Road, Reedsport, OR 97467, http://www.lowerumpquahospital.org/foundation/, or the charity of your choice. Private funeral services for Robert Arthur "Bob" Ellis, 59, of Lafayette, La., were held Tuesday, March 26 at Gossen Funeral Home in Rayne, La. Memorial services will be held in Coos Bay at a later date. Bob passed away Sunday, March 17, 2019 in his Lafayette residence. Bob was born in North Bend at Keizer Hospital March 21, 1959. He lived most of his life in Coos Bounty. Bob graduated from North Bend High School in 1977. After graduation, Bob enlisted in the U.S. Navy. He was stationed first in San Diego, Calif., then in Virginia Beach, Va., and finally in Jacksonville, Fla., where he retired as a chief petty officer with 22 years of honorable service. Bob and his family moved to Louisiana due to employment as a machinist, beginning a 14-year "retirement career" in 2003 with AGI Industries where he continued to work until his death. Bob enjoyed hunting, fishing and cooking. He was known for his pies, especially his apple. He dearly loved his family. His greatest joy in life was being a dad to his son, Eric and a grandfather to his grandson, Ezra. Bob is survived by his wife, Janee (Romero) Ellis of Lafayette, La. ; son, Eric Ellis and wife, Miranda; grandson, Ezra of Sulphur, La. ; mother, Rebecca Fields and husband, Allen of Coos Bay; sister Lugene (Ellis) Neal and husband, Dan of Coos Bay; sister, Lorry Cook and fiance, Scott Williams of North Bend; brother, Dennis Armstrong and wife, Carmen of Findlay, Ohio; and numerous aunts, uncles, nieces and nephews. He was preceded in death by his father, Eugene Arthur "Gene" Ellis; and infant brother, David. Leave a loving memory on the guestbook.